Bob Ward’s is a fully authorized Internet corporation launched by Bob Ward & Sons Inc. 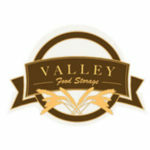 They take great pride in their deep Montana roots and relationships with their manufacturers. The founder of the company, the legendary Robert C. Ward was born in 1885 and set out on a journey to Klondike at the age of 15 in search of gold. Open in 1917, the company officially exists for 100 years and currently operates five retail stores across Montana and an online shop. This Bob Ward’s review will cover all the relevant aspects of their service and uncover the quality behind a century-long tradition. It’s well-known that outdoor gear companies don’t survive for long without high-quality products, so after a full century in the business, Bob Ward’s definitely must be doing something right. Bob Ward’s is an online store with a long and rich tradition, which stands testament to their high-quality products and effective user support. Although a skilled jeweler, Robert C. Word dedicated his life to hunting and fishing. He even created the infamous “Ward Wobbler” lure after he opened his store. Mr. Ward’s dedication can best be summarized in the fact that he successfully hunted down a 250-lb black bear and killed it with just a bow and arrow at the age of 69. Bob Ward’s has a very representative portfolio of outdoor equipment, all coming from renowned and trusted manufacturers, as mentioned at the beginning of this Bob Ward’s review. You can find gear for your regular outdoor activities but also survival supplies in case of an emergency. Preppers can view Bob Ward’s as a fully-fledged survival shop since it provides essential gear for any kind of natural or man-made calamity. Another major benefit of Bob Ward’s lies in the fact that Montana is one of the fairest states in the US when it comes to government taxation. The state views sales taxes as less fair and depends more on collecting income taxes. This constitutes a just system where the wealthy have to pay more, but also allows Bob Ward’s to sell outdoor gear at lower prices. 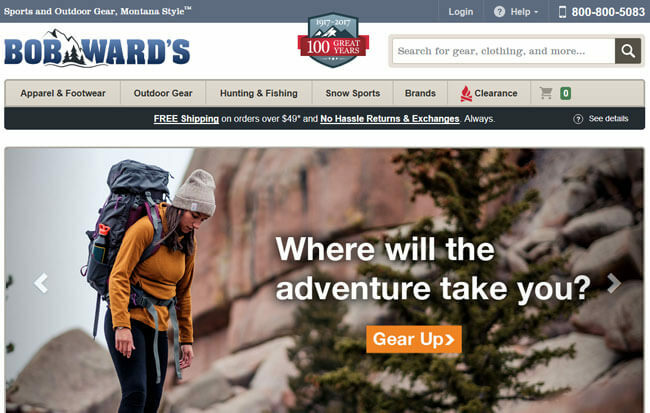 It’s no wonder people from all over the US order their outdoor gear from Bob Ward’s. The company only sells merchandise from trusted manufacturers. That’s how we know that every single piece of equipment bought there will do its job, which is especially important in survival scenarios. If your new boots give you a bit of a hard time during your camping trip, you’ll live. However, if you start blistering while bugging out to your shelter with a hurricane “breathing” down your neck, well, you know how that usually ends. Bob Ward’s online store has a lot of products. We’ll do our best to sort them out in this section of our Bob Ward’s review, but you should probably head over to their site and view the complete offer with individual items. Here’s a rough outline of what you can expect once you’re on their website. Men’s clothing – Jackets and vests, hats, gloves, and accessories, shirts and sweaters, pants and shorts, performance underwear, winter pants and bibs. Women’s clothing – Jackets and vests, shirts and sweaters, hats, gloves and accessories, pants and shorts, performance underwear, skirts and dresses, winter pants and bibs. Kids clothing – Jackets and vests, winter suits, hats, gloves, and accessories, shirts and sweaters, pants and shorts, performance underwear, winter pants and bibs. Footwear – Men’s/women’s/kids’ footwear, socks, and accessories. 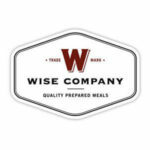 Camping gear – Backpacks, stoves and cooking gear, lighting, tents, sleeping bags, camp furniture, K-9 and dog gear, sleeping pads and mattresses, outdoor games, water purification, child carriers, navigation tools, two-way radios, and other gear and accessories. Travel gear – Car rack systems, watches, luggage, audio, sunglasses, and gifts. Water sports – Life jackets, snorkeling, neoprene suits, tow tube, boats, wakeboards, water skis, and accessories. Sports gear – Backyard games, fitness, disc golf, racquet sports, skateboards, lacrosse, soccer, and football. Climbing gear – Carabiners & hardware, ropes & webbing, ice climbers, climbing harnesses, bouldering crash pads, and accessories. Golf – Balls, pitters, bags, sets, utility wedges, woods, carts, hybrids, and accessories. Hunting – Hunting clothing, backpacks, cutting tools, game calls, tactical gear, multi-tools, archery, dog training, hunting scents, eye and ear protection, decoys, GPS, two-way radios, blinds, gun safes, sling shots, and accessories. Fishing – Freshwater fishing, fly fishing. Optics – Scopes, binoculars, scope rings and bases, spotting scopes, tripods and window mounts, laser rangefinders, telescopes, and accessories. Skis and ski equipment – Skis, goggles, ski poles, helmets, travel gear and bags, safety/avalanche gear, ski bindings, backpacks, sleds and snow tubes, ski boots, cross-country ski equipment, and accessories. Snowboards and snowboard equipment – Helmets, goggles, snowboard bindings, backpacks, safety/avalanche gear, travel gear and bags, snowboard boots, sleds and snow tubes, and other accessories. Snowshoes – Hiking and backcountry snowshoes, recreational snowshoes. Bob Ward’s offers free shipping for orders worth 49$ and up, delivered within the lower 48 states. It only applies to UPS SurePost and it might be subject to additional charges for oversized products. Orders usually ship within 24 to 48 hours. Orders received on holidays or weekends ship the next business day. Most orders usually arrive within 3-10 work days. For an extra fee, you can also choose Next Day Air, 2nd Day Air, and 3 Day Select. Note that USPS and FedEx delivery is available upon request. Currently, there are no taxes added to the items sold by Bob Ward’s. As far as eBay is concerned, the buyer pays the shipping charges and Bob Ward’s ships only to the US and Canada. Alaska and Hawaii can only use the 2nd Day Air and Next Day Air. Bob Ward’s ships internationally as well. Accepted payment methods include credit cards, PayPal, and bank transfer. Finally, Bob Ward’s has a very flexible return policy. They accept returns and exchanges at any time but make sure you bring back the item(s) in new condition, with the original packaging and all of its paperwork. 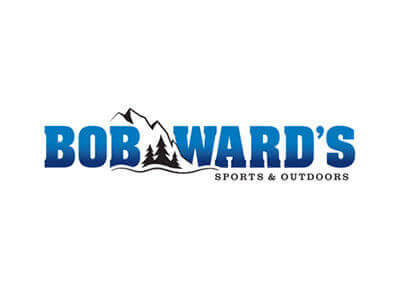 Bob Ward’s is everything an outdoor gear store should be. 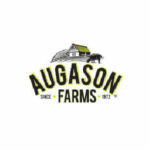 Its main strengths include a long family tradition and collaboration with some of the most renowned brands in the US. Note that they usually ship items carried in their own inventory instead of just posing as a middleman between the buyer and the manufacturer. Additionally, the store always offers special prices for closeouts or discontinued merchandise. We hope our Bob Ward’s review brought the company a bit closer and familiarized you with their top-quality offer and rich history. We’re sure that you’ll find something of interest there whether you’re planning a camping trip or stacking your bug out shelter with supplies. You have to spend just 50 bucks to get a free shipping! Can’t get any sweeter than that. Quick delivery and pleasant user support. They always have some nice clearance offers or discontinued stuff. You can get away pretty cheap with some high shelf products.